We are a team of filmmakers and creatives pushing the boundaries of storytelling; building personalized pieces for the human experience and birthing stories that are intimate and emotional, majestic r expansive, unique but relatable. 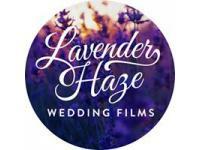 Lavender Haze Wedding Films is the perfect match for couples seeking something unique, organic and intimate. We arrive on your wedding day ready to capture everything and edit our footage into a memory you will cherish for a lifetime.